Boston Terriers are one of those breeds that simply are NOT for everybody. At the same time, they are surely becoming one of the trendiest dog breeds, and often are confused with French Bulldogs (they are, in fact, related to Frenchies). Bostons do things just a little bit differently. 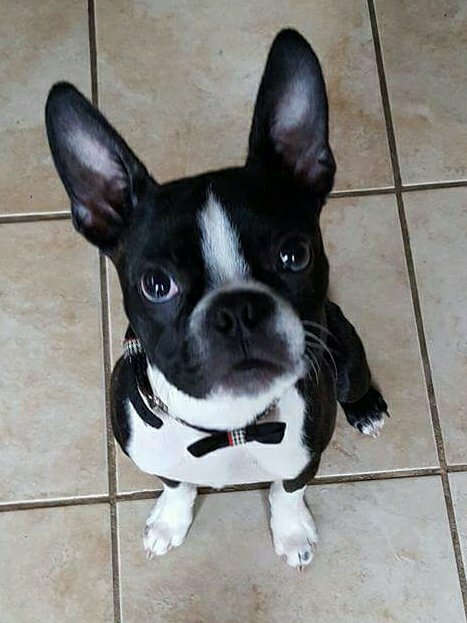 I know that my Boston Terrier, Gatsby, is the best to me. He does weird things, he’s wild, and he has no concept of personal space, but he’s mine. This article aims to celebrate the Boston Terrier breed, and perhaps dually serves as a warning to those who would not jive with them! Too cute! You’re the second person I’ve met in the virtual world who has a Boston terrier. I even made a pillow for the other person with imprinted photos of her little guy! My hubby and I have talked about getting a smaller dog (we have 3 bigger ones!) who might actually be more like a lap dog and we do like Boston terriers! We would likely watch shelters to see when any become available. Thanks! I appreciate the comment! 😊 they do get along well with bigger dogs. It might be tough to find one via a shelter because they are so popular! No Problem! I have a Boston Terrier myself and they are great pets. If you get a chance visit my page, Ill be posting more pics of him soon.